I realise that not everyone is as orally-fixated as I am, and that the maw may not be mother and murderer, but the mouth is important to me. I like to see it occupied. I find it quite easy to imagine a drink slipping into portraits that I see. A casual, comforting accessory. It baffles me that the drinks are not actually there. 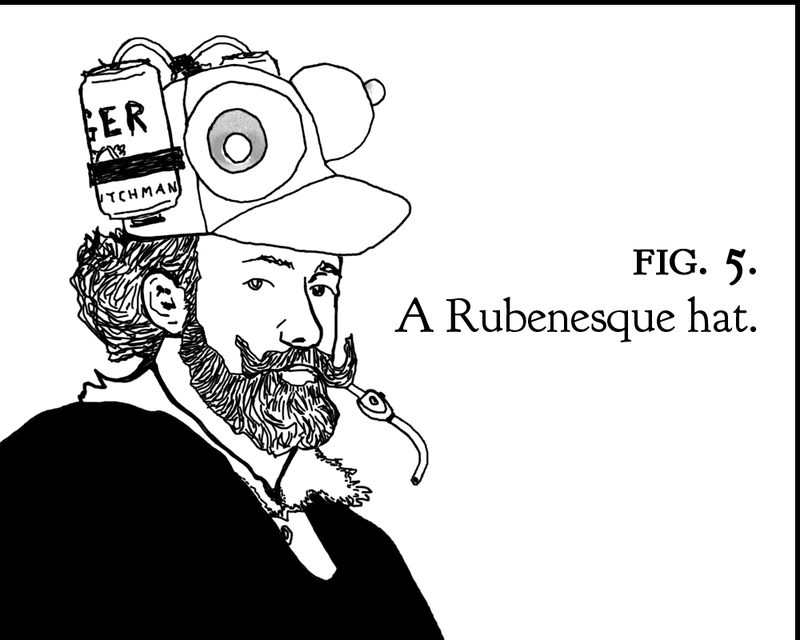 That's one (ex post facto) way of explaining what's going on here. 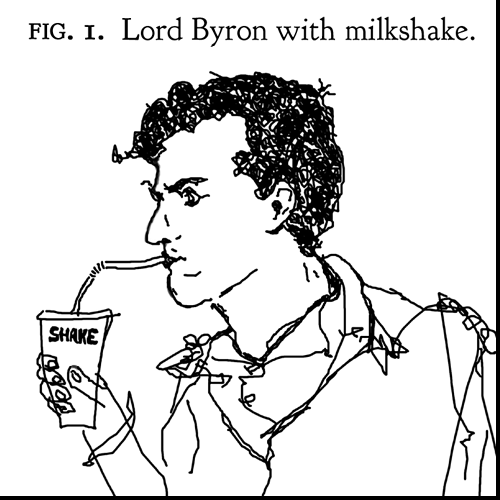 I. Lord Byron with milkshake. II. 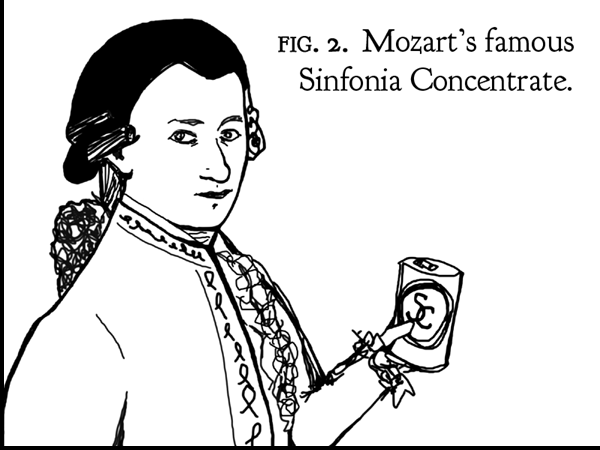 Mozart's famous Sinfonia Concentrate. III. 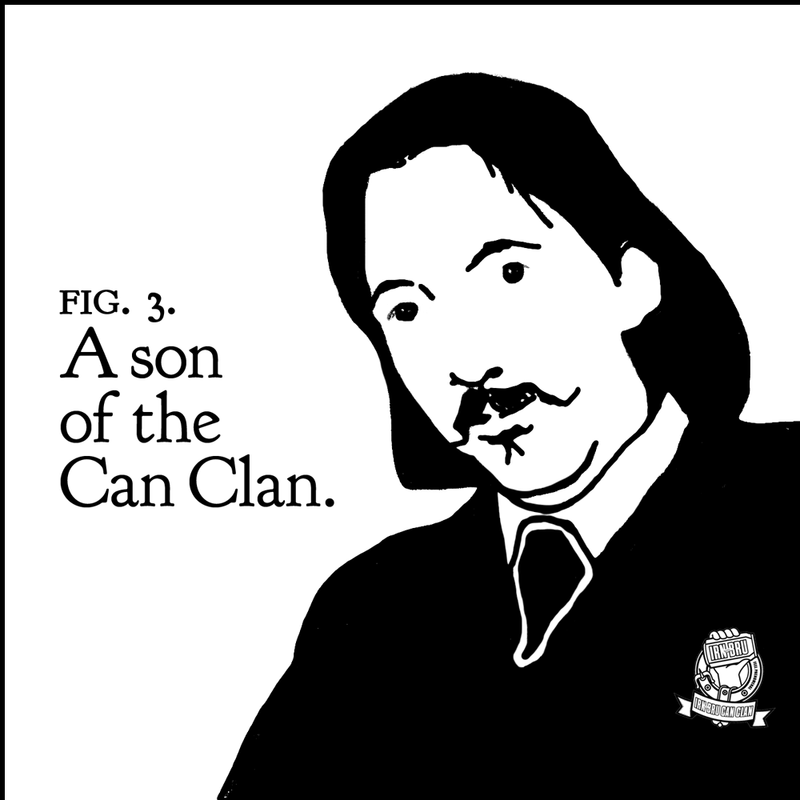 Stevenson, a son of the Can Clan. IV. 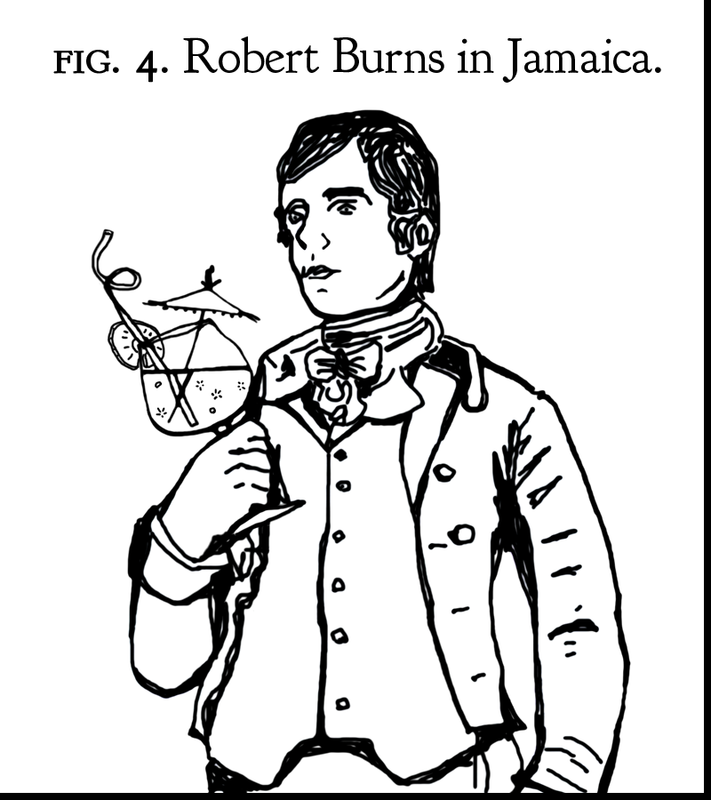 Robert Burns in Jamaica. VI. 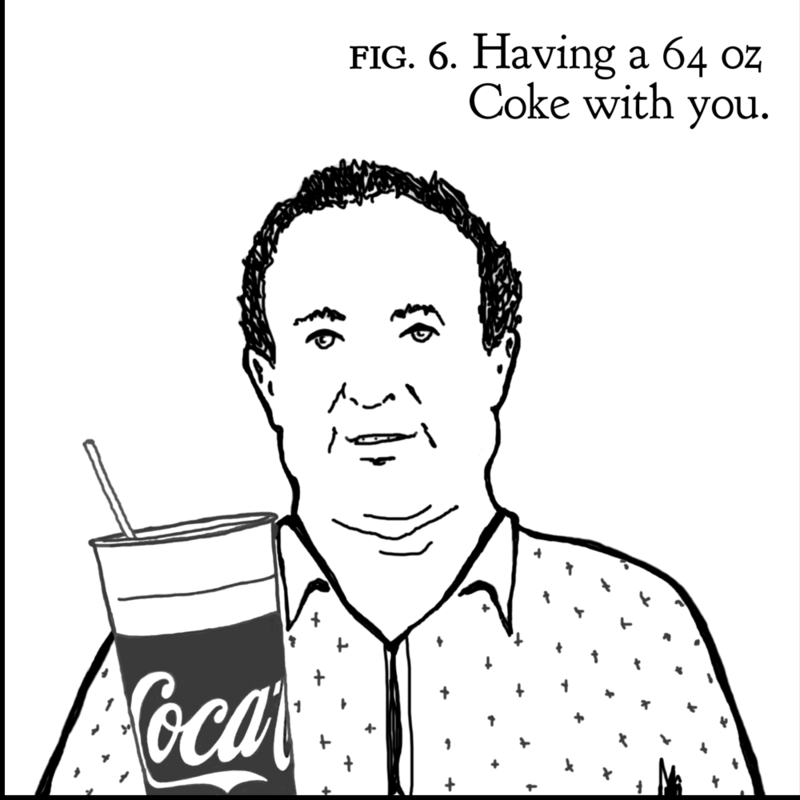 Having a 64 oz Coke with Frank O'Hara, made obese by unregulated soft drink sizes in New York City.